Surrey author, Tania Tirraoro, has just published her second novel, a romance, entitled "Sweet Seduction". When multi-millionaire Entrepreneur, Rufus Knightly offers to finance Livia Rosetti's artisan cake business, he doesn't expect to have a fight on his hands. Despite sharing a kiss under the mistletoe a decade before, Livia is now reluctant to mix business with romance—but the strong attraction between them is proving difficult to resist. Like Tania's first book, "This Last Summer", currently selling well in ebook and paperback, "Sweet Seduction" is set in the county of Surrey, where the author lives. Tania Tirraoro said, "Surrey is such a picturesque backdrop, it's nice to be able to set books on my own doorstep. I'm really pleased with Sweet Seduction—I wanted to write a feel-good romance because in this climate we all need something to make us feel better." 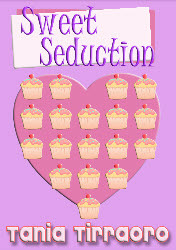 Sweet Seduction is available on Amazon UK, Amazon.com and Smashwords. It will soon be available on Apple for ibooks, Kobo & Barnes & Noble in the US.